What would happen to small churches if we changed the way we talk about them? By far, the most prevalent expression of the church throughout history is the small congregation. More people have worshipped Jesus, been discipled, and reached out to others through the ministry of small churches than through any other tradition, method, format or denomination. Vastly more. Even today, with the celebration of ever-larger churches, most congregations are still small, and more people worship in them than in any other type of church. We do small church a lot. But we don’t always do small church well. Why is it that even though the small church is the most normative form of church, it’s also the most likely to be done poorly? Here’s a hint: it’s not the fault of small churches, their members, or their pastors. In my years of studying this, combined with my own experience and conversations with hundreds of small church pastors and members, I’ve discovered that it starts with one misunderstanding. We don’t always do small church well because too many of us don’t know that small church can be done well. 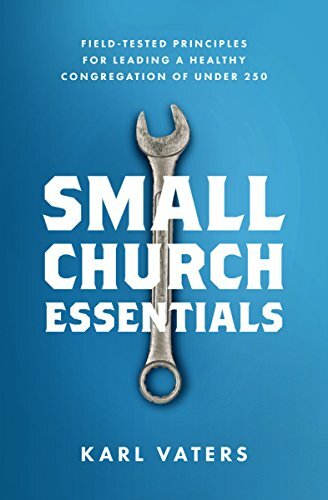 Instead of being told how many small churches there are, how many of them are doing extraordinary work all over the world, and how small congregations have done most of the church’s heavy lifting for 2,000 years and counting, we’re regularly told that if we’re doing church well at all, it won’t stay small. And that if we are doing it small we must not be doing it well. As a result of this faulty thinking, we don’t give them the kind of encouragement or help they need, so they’re more likely to become the failures we believe them to be. Maybe if we stopped assuming they were all unhealthy (which they’re not, by a long shot), fewer of them would be unhealthy.